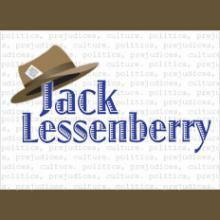 Jack Lessenberry talks about trusting Matty Moroun. But what about the Ambassador Bridge and its controversial owner, eighty-eight year-old Matty Moroun? Two months ago, Detroit Mayor Mike Duggan startled people when he announced a surprise agreement with Moroun, who says he wants to build a second bridge next the Ambassador. The city is agreeing to give Moroun a three-acre section of Riverside Park he needs if he is ever going to build a second span. In return, Moroun has to give Detroit five acres of riverfront property the city wants. Plus, he has to pay about three million dollars for improvements to the park, another two million later, and put one thousand and fifty windows in the old abandoned train station. What’s more, Moroun has to do all of that first, or he doesn’t get his land. At the time, lots of people familiar with Moroun felt it was a terrible deal. However, it seemed a smart move to me. The Canadian government is never going to let Moroun build a second bridge, though it is conceivable the Ambassador might someday be replaced. I thought the city was taking advantage of Moroun’s obsession to make a good deal for the taxpayers. But there’s some evidence that this might not be all that clear-cut. Over the weekend, I saw former Governor James Blanchard, who is committed to helping the Howe Bridge become reality. Blanchard felt the deal with Duggan was a terrible idea, because it sent confusing signals to the private sector investors the Howe bridge needs to attract. The day before, however, I talked to Mayor Duggan about this. He told me he was fully committed to the Howe Bridge, and doesn’t think there will ever be two Ambassador Bridges. However, he does think we need a second bridge, and expects someday it will be prudent to replace the Ambassador, which is now eighty-six years old and clearly showing signs of wear. All that made sense to me. But the deal Duggan made with Moroun hadn’t yet been approved by Detroit City Council. And yesterday, attorneys urged council to be cautious. Well, they’re right about that. Three years ago, a judge threw Matty Moroun and bridge company president Dan Stamper in jail for repeatedly ignoring court orders to live up to their agreement to build a freeway ramp and roadway. They have been proven untrustworthy. But the current agreement seems to say Moroun doesn’t get what he wants till the city is fully paid off. However, the lawyers think part of the agreement calling for Moroun to fully clean up the property the city gets may be unenforceable. That seems especially appropriate here.